Manchester City have completed their fifth signing of the transfer window with the acquisition of full back, Benjamin Mendy from French champions, AS Monaco. The 23-year old completed a record £52m move, which made him the world’s most expensive defender and has also signed a five-year deal with the Etihad side. of the world’s best full-backs, our number one target in this position. We are all delighted to have him here at Manchester City. 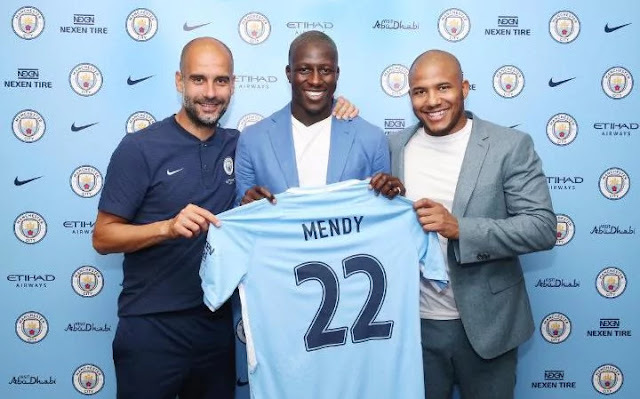 Mendy spoke of his delight on the move as he said, “I am absolutely delighted to be joining Manchester City. They are one of Europe’s leading Clubs and in Pep Guardiola they have a manager committed to playing attacking football. Mendy who was signed by Monaco last season from Marseille was part of the Monaco team that won the Ligue 1 title last season.